Join us for the Golden Hammer Awards 2018! The Golden Hammer Awards were started in 2000 with a goal of honoring excellence in neighborhood revitalization projects throughout Greater Richmond. Last year, eight awards were given out to projects around the greater Richmond area. To read more about previous Golden Hammer Awards, check them out here. 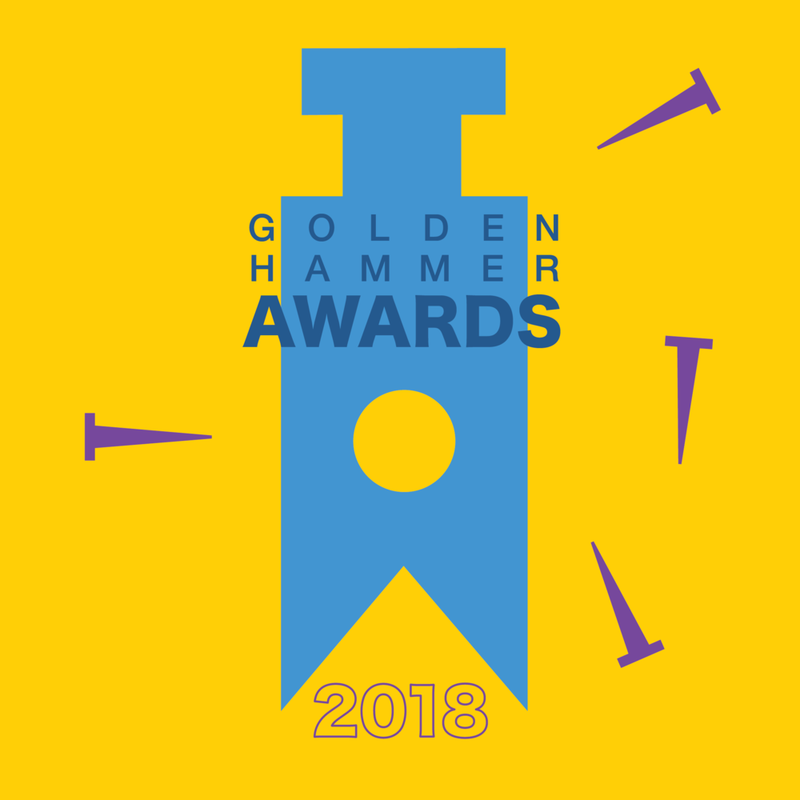 Storefront for Community Design and Historic Richmond are co-hosting the Golden Hammer Awards this year and the event will take place on Thursday, November 1, 2018 at Monumental Church. Tickets will be available through Historic Richmond's website (link coming soon). Projects must have been completed after January 1, 2017. All projects nominated must be located in the Greater-Richmond area (City of Richmond, counties of Chesterfield, Hanover and Henrico). One entry per project. Entries must be received by midnight Saturday, September 15, 2018. 1 Best Restoration: May be a restoration by a homeowner, contractor or developer. The use must have stayed the same. Includes historic tax credit projects. 2 Best Adaptive Reuse Project: projects that were rehabilitated for a new use. Multi-family residential projects welcome. 3 Best New Construction: Includes neighborhood infill. 4 Best Placemaking Project: Includes arts and cultural projects, park and green-space projects, transportation and infrastructure projects, or other neighborhood enhancing features. 5 (New Category) Best Residential Project: Includes single-family residential projects. Applications for 2018 will open on june 15.